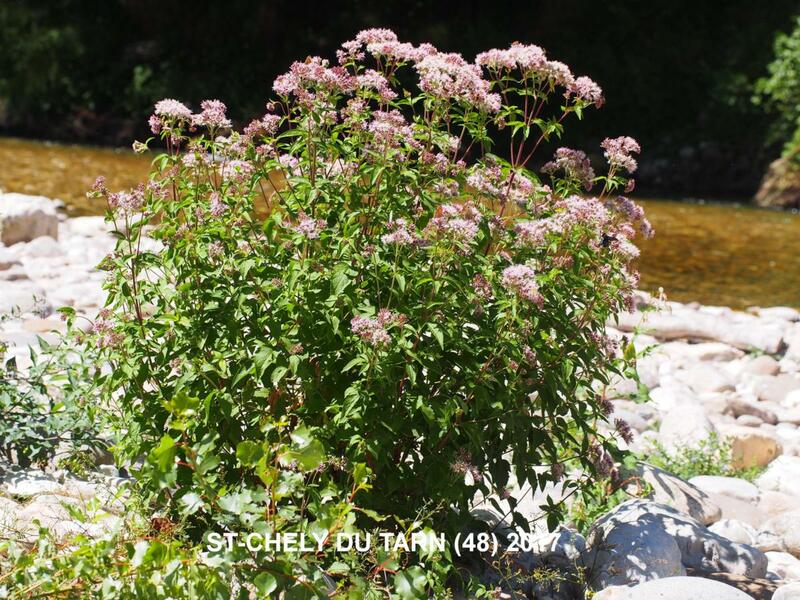 LATIN: Eupatorium cannabinum subsp. cannabinum L.
Habitat: (view in new page) :Key: Areas of luxuriant vegetation.Secondary : Springs, streams and seepage on limestone, Springs and streams on silica. 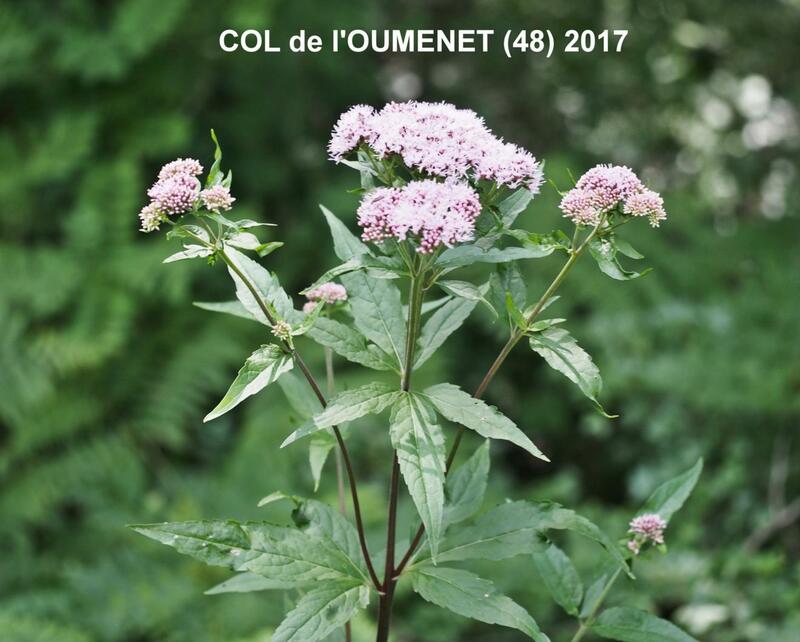 Habitat : (s'ouvrir nouvelle page) :Clef : Formations herbacées luxuriantes (mégaphorbaies). Secondaire : Sources,ruisselets et suintements sur calcaire, Sources et ruisselets sur silice. 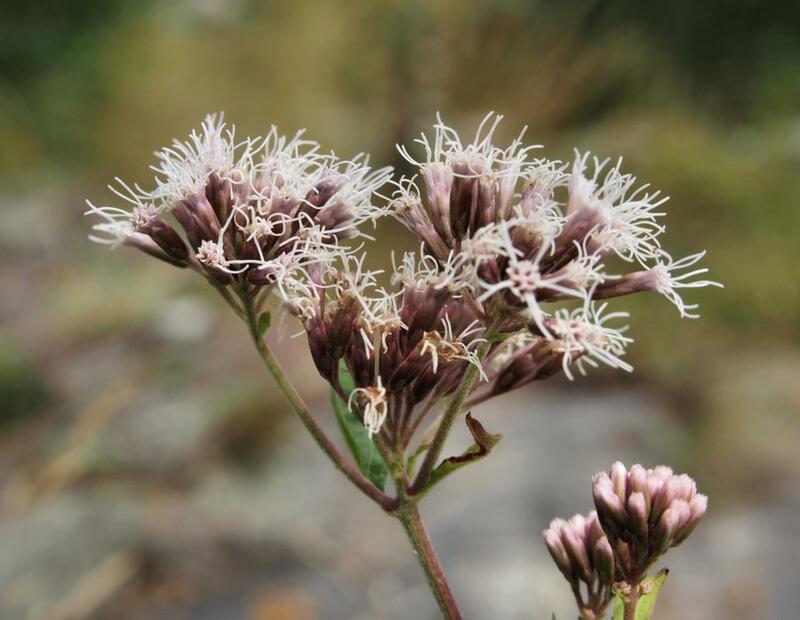 Eupatorium cannabinum subsp. cannabinum L.
Écologie : Bois et lieux humides, bords des eaux, marais dans toute la France, Corse. 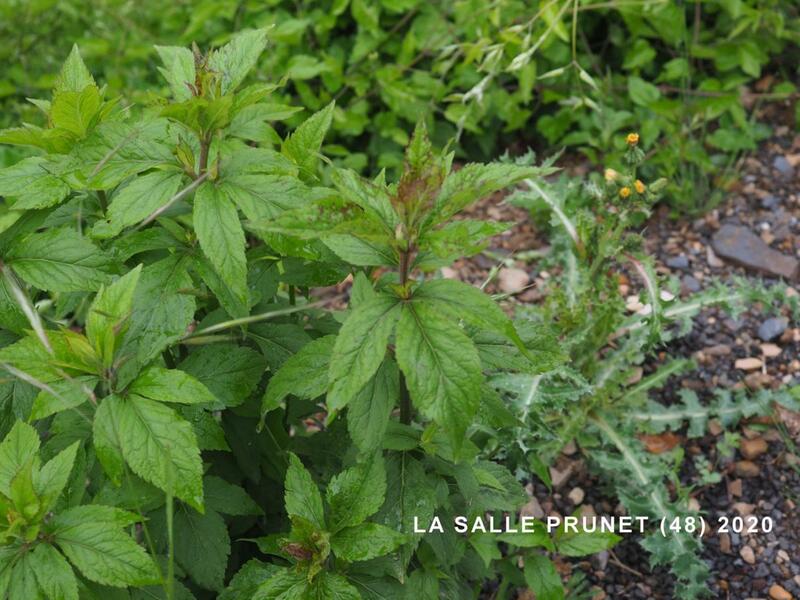 A stout perennial with almost simple, leafy stems 50-125 cm high, growing from a stout, fleshy stock. Ecology UK: It occurs commonly on riversides and banks throughout the British Isles. 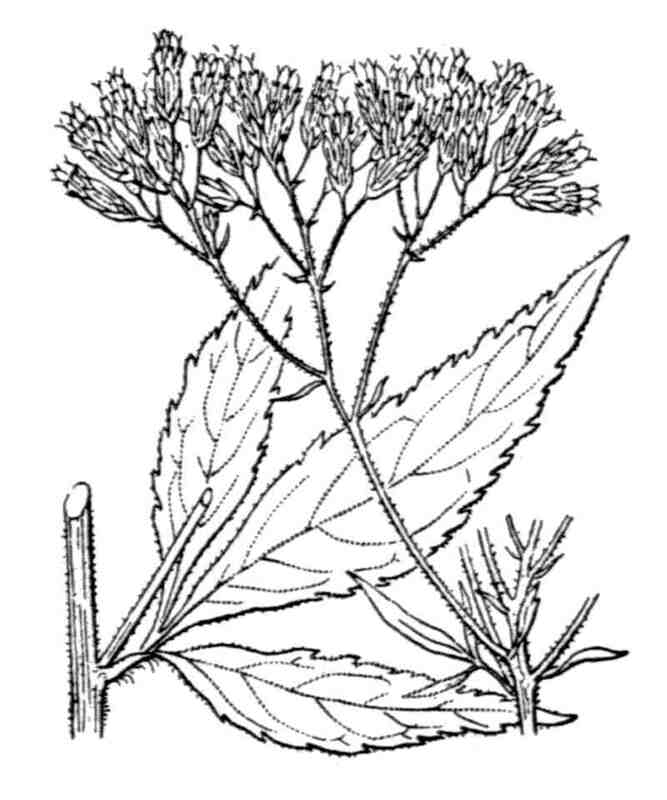 Fleurs : involucre à folioles intérieures scarieuses, oblongues-linéaires, très obtuses, les extérieures ovales ; capitules purpurins, en corymbe rameux, terminal, compact. 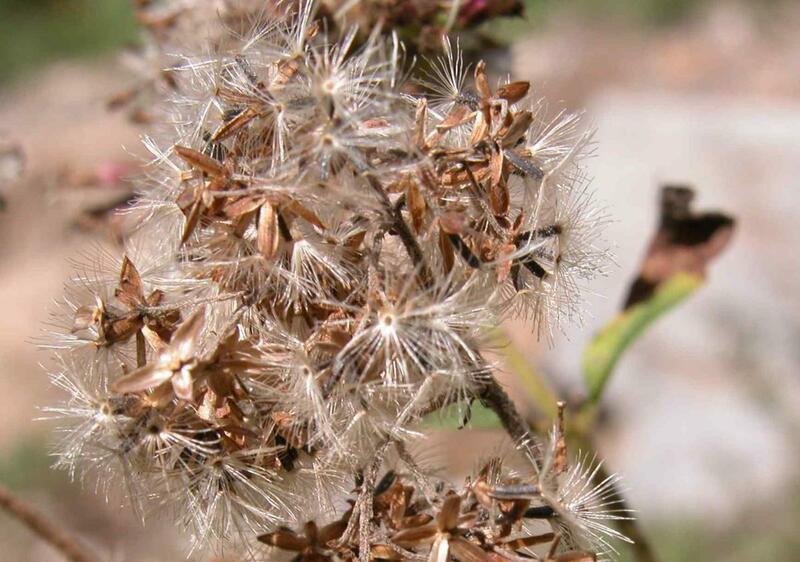 Flowers: .Flower heads about 1 mm diam., very many in a crowded terminal corymb; involucral bracts scarious, inner linear, outer ovate; florets 5-6 mm long, about 6 in a head, tubular, pink. Fruit: Achenes 2.5 x 0.7 mm, 4-6 ribbed, glandular, truncate, crowned by a white silky pappus of simple hairs, black.